We offer a full range of perforated and slotted casing and tubing. 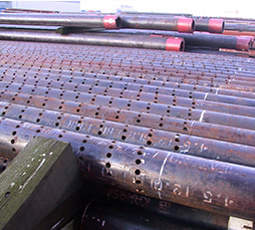 Slotted pipe is offered with slot widths and open area per joint to suit the requirements of the formation. Tubulars can also be offered perforated for subsequent installation of stainless steel screens. 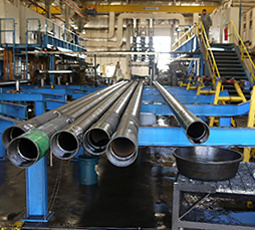 Casing on racks at a slotting plant. 4-1/2” tubing perforated preparatory to installation of stainless steel screens.